The Vodafone AVANTAJ CEPTE application is offering exclusive advantages to all Vodafone users! AVANTAJ CEPTE is altering the current shopping habits of customers! 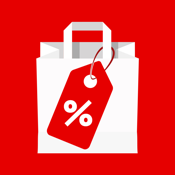 Vodafone is offering a new advantageous world to its subscribers by providing convenience in their shopping act. All of the advantages including from regional and location based offers to national campaigns are getting alive in your smartphones powered by Vodafone! With this application, Vodafone users are able to see and benefit from Vodafone only exclusive opportunities and campaigns immediately from their mobile device. With this new mobile application, Vodafone also ends the complexity of physical brand loyalty cards in customers’ pockets and provides a convenient shopping platform combining digitalized loyalty cards within one application. With the AVANTAJ CEPTE application, Vodafone subscribers; • Will be able to use Vodafone exclusive advantages at partner brands, benefit from various sale opportunities and use brand loyalty cards • Will see special advantages in predefined shopping zones and reach the benefits either from the nearest store or by clicking the link in the offer details • Will be able to share their benefit as a gift to their friends and will be able to enjoy the shopping experience by using the convenience of Mobile Payment VODAFONE RED subscribers can also benefit from the advantages that are available for all Vodafone subscribers. In addition, RED members, can access to the RED menu by one click and; • Connect to Exclusive Customer Service Agents • Benefit from Back Up Personal Assistance Service • Get services by the Mobile Support Team • Use various advantages during their travels from free airport lounge to car rental with discount • Benefit from opportunities in various fields from food to cinema • Benefit from special discounts in summer and winter based locations Additional notes: • All Vodafone users are able to download and enjoy the Vodafone AVANTAJ CEPTE application • Vodafone RED members, can view RED exclusive offers and opportunities, participate to campaigns and benefit from advantageous offers Vodafone AVANTAJ CEPTE mobile application is available for all iOS 6 and higher versions. P.S: Continued use of GPS running in the background can dramatically decrease battery life.